Friday evening saw us heading out to Coney Island to watch baseball with a group of friends. 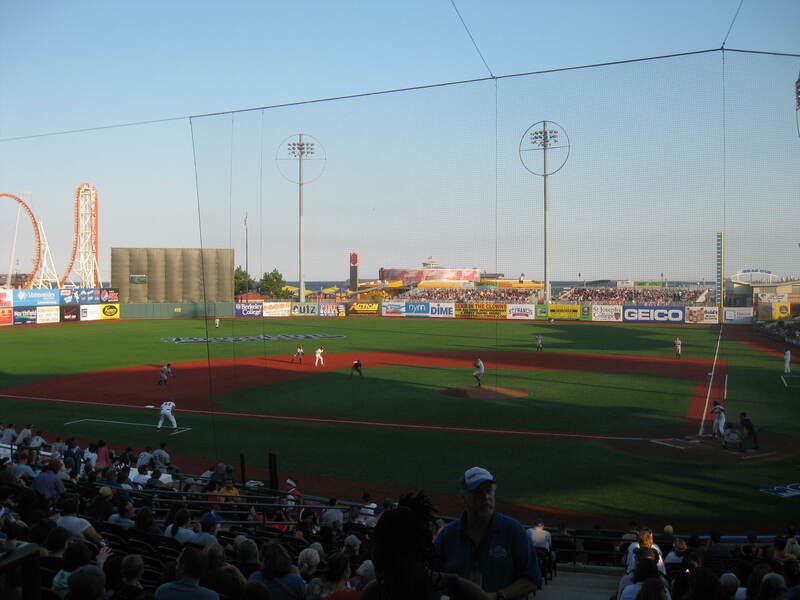 The Brooklyn Cyclones have their ballpark out there, complete with ocean breezes and fantastic views of the funfair, and it was quite entertaining to watch one of the newer rollercoasters zooming around its track in moments when the action on the field wasn’t so exciting. The game concluded with fireworks, then we took a little stroll along the boardwalk before getting the subway home. 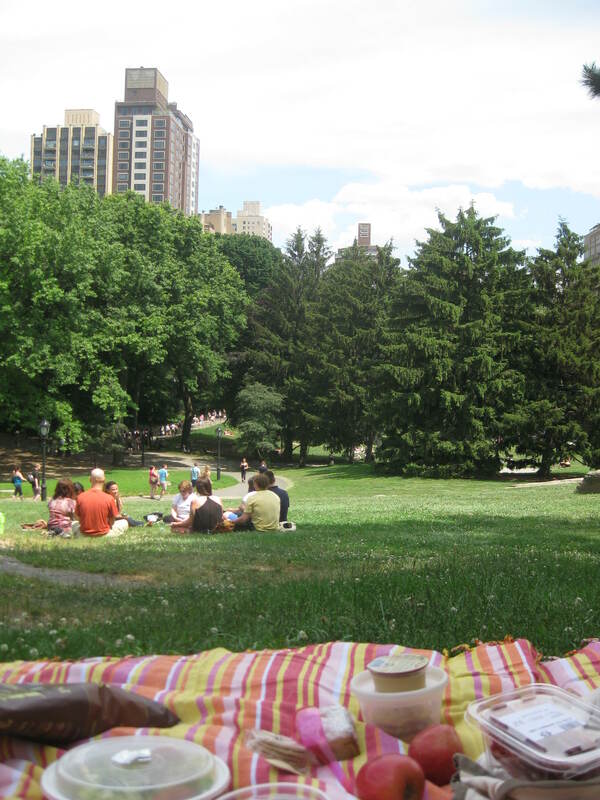 Then on Saturday afternoon we packed our books and a picnic lunch and wandered over to find a nice spot in Central Park, for a lazy afternoon eating, reading and snoozing beneath the trees. 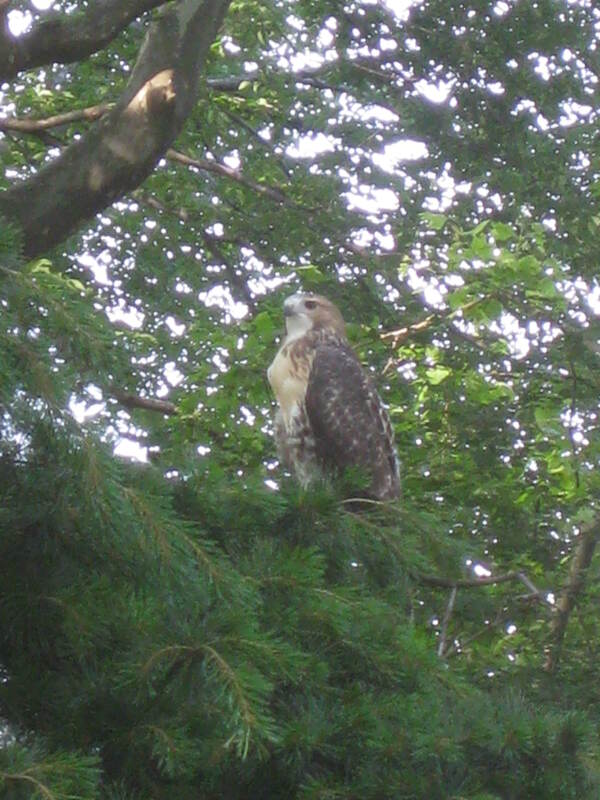 On the way home we were pleased to spot one of Central Park’s red tailed hawks. Looking at other photos online I think this is Pale Male, who is quite the local celebrity, and of course I only had the little camera with me – one day I will get some better hawk pictures. This entry was posted in Living and tagged baseball, Brooklyn Cyclones, Central Park, Coney Island, picnic, raptors by Emma Davidson. Bookmark the permalink.